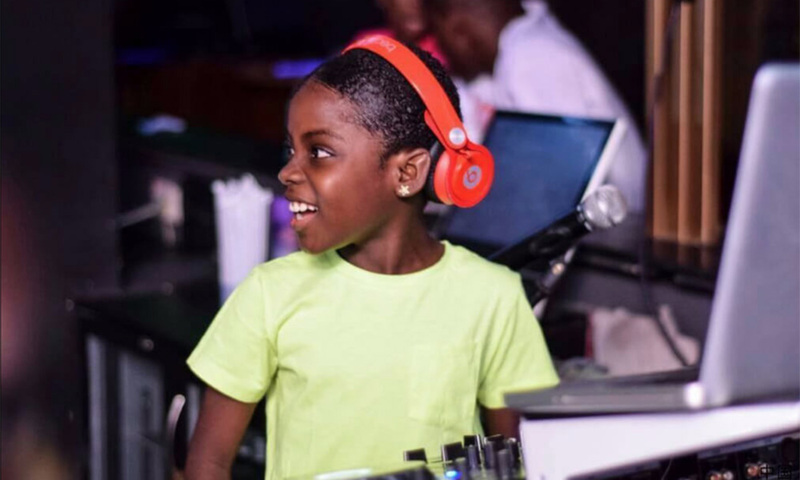 The American entertainment company, Roc Nation, owned by Jay-Z, has celebrated Ghana’s youngest Disc Jockey, DJ Switch. As part of their Black History Month celebration in the month of February 2019, the company shared pictures and video of the youngster on their official social media pages on Sunday, February 21, 2019 and described her passion as inspiring. Roc Nation is a full-service entertainment company houses a record label, talent agency, touring and concert production company, music, film, and television production company as well as a music publishing house. She is the second child and only girl amongst five children born to Ghanaian parents and lives with her family in Dadieso in the Western region of Ghana. In June 2018, Erica became the youngest person to win Ghana’s annual DJ awards and three months later, she opened the Bill and Melinda Gates’ Foundation’s annual Goalkeepers event in New York on September 27, 2018, as the warmup act to French President Emmanuel Macron.